ihsahn: spitting voice on track 6.
mathias eick: ubu's horn on tracks 3, 6 and 7. 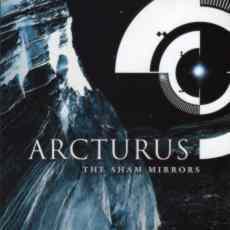 First of all Arcturus is not a mainstream band and not many people can listen to their music. new or good to give us. Infernale, but the new album is more 'straight' but without becoming easy for the average listener. other album and it can't be rated with less than perfect. especially for metal music. You never know how the song will turn out and it has nice surprises each time. All in all it is an unpredictable album. feeling.Sverd has done an amazing work on the keyboards which are all around the album.